1 Dude – 1 bike – No Rules – Ok, Maybe some Rules. Here’s my first two journal entries. Pretty uneventful stuff, just riding the train. Boarded the train around 3:30am. It was rough saying goodbye to the family. I’ve never been that great at goodbyes, and this time was no exception. I’m going somewhere where I don’t really have any friends, so it kind of felt like I was leaving my last connection behind. Nothing feeds a deep sense of ennui like riding on a train. MORE TRAIN. I finished reading my book, and now I am spending my time revising some pages from my book. I’ve eaten nothing but granola bars, cherry tomatoes and tortillas with peanut butter. I have no idea why I selected these as my train foods. I’ve found an optimal sleeping position. I find if I put the little footrest up and turn onto my side, I can make a sort of “s” shape with my body, which give optimum comfort. Keep that in mind if you find yourself on the train and are a tall lurpy dude. 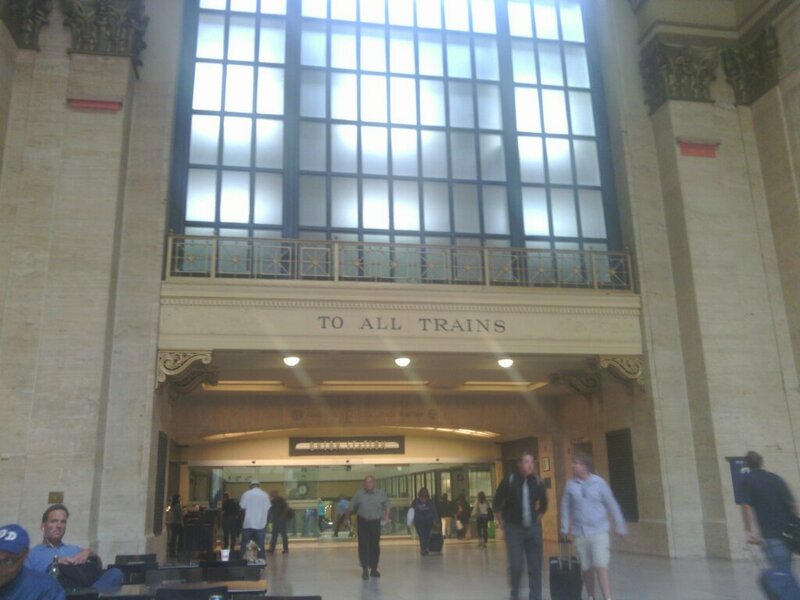 Now I’m sitting in Chicago Union Station. I went and got a falafel, which is highly satisfying. I think I should only speak about the food I eat for the remainder of my journal entries. Also, train bathrooms are gross. Ok, boarding a new train now. Will resume writing tomorrow after I’ve done the first leg of my bike journey.